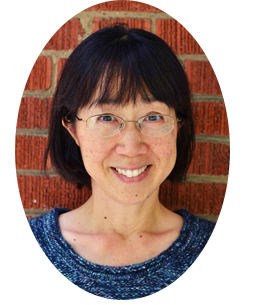 Ruth Ohi is one of the most popular, prolific, and accessible children’s picture book authors/illustrators in Canada today. You can find her presenting and doing workshops almost everywhere. Ruth’s first books were published in 1989. Since then she has illustrated over 50 books and has also been the author of many of these, including the Fox and Squirrel series, Scribble and Shh! My Brother’s Napping. Her books have been selected for the Pennsylvania Centre’s Book’s "Baker’s Dozen," the Canadian Toy Testing Council’s "Great Books," the Ontario Library Association’s "Best Bets," and the Toronto Public Library’s "First & Best Booklist." They have been shortlisted for awards such as the Marilyn Baillie Picture Book Award, Amelia Frances Howard-Gibbon Illustrator’s Award and the Ontario Library Association’s Blue Spruce Award. A graduate of the Ontario College of Art & Design, Ruth uses mainly watercolours and inks, and is beginning to incorporate digital elements into her artwork. Ruth is passionate about working with young people through art, creativity and books and was recently a Writer-in-Residence for the Toronto District School Board. She enjoys travelling to new places, spending time with her family and getting lost in a great new read. As a young child Ruth looked forward to weekly family visits to the library, returning home with a personally selected stack of goodies. But it went beyond this, as she explains: "My siblings and I had our own kind of publishing house. We’d spend hours creating our own comics, newsletters and family magazines." Summers were spent camping all over North America. Making comics and books in the backseat of the car and at the campsite was always a part of being on holiday. Creating books is a full-time career now. What’s the favourite part of her job? "Hosting workshops where young people get as excited about creating their own visual stories as I do!," she exclaims. Ruth is married and has two daughters. She lives in Toronto. Learn more about Ruth at www.ruthohi.com.